AFFORDABLE PBX — This PBX has all the standard features and be affordable for all home office comparable to those expensive PBX. 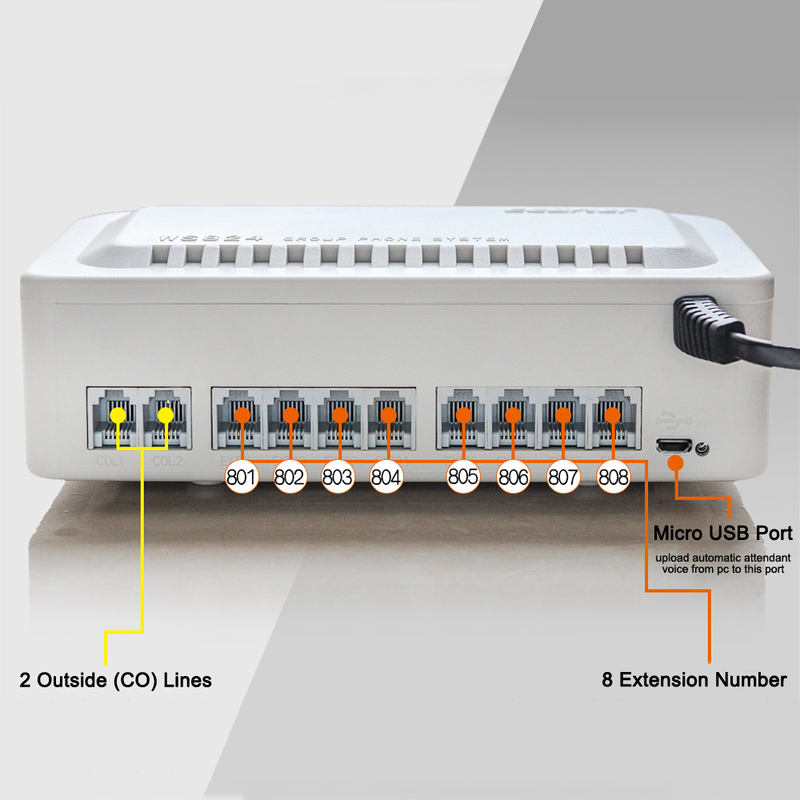 IDEAL SOLUTION–This PBX have 2 outside lines (2 CO lines) and 8 station ports(8 extension lines) and can be deployed at a mid-sized main office and warehouse according to your needs. 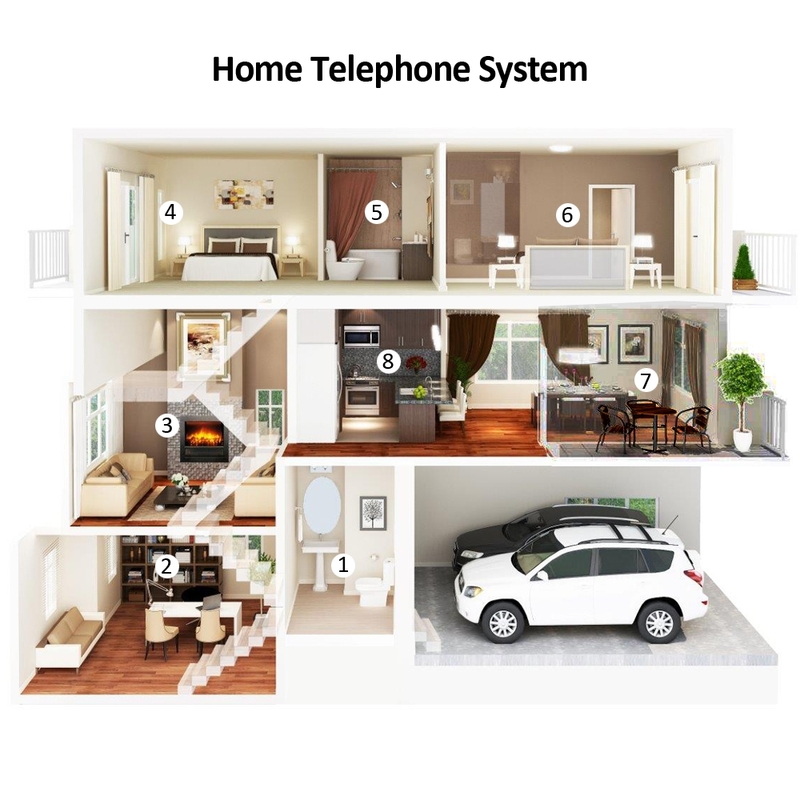 SUPPORT REGULAR HOME PHONE–This PBX can support most regular home phone or cordless phone as extension set,no need expensive proprietary phone set. STANDARD FEATURES–It support many standard features including in Automated Attendant,Call transfer, Call Forwarding, Secretary assisted dialing, Do not disturb(DND),Call hold and retrieve etc.The new feature of F208 Plus include Caller ID display and Robo-Call Blocker. 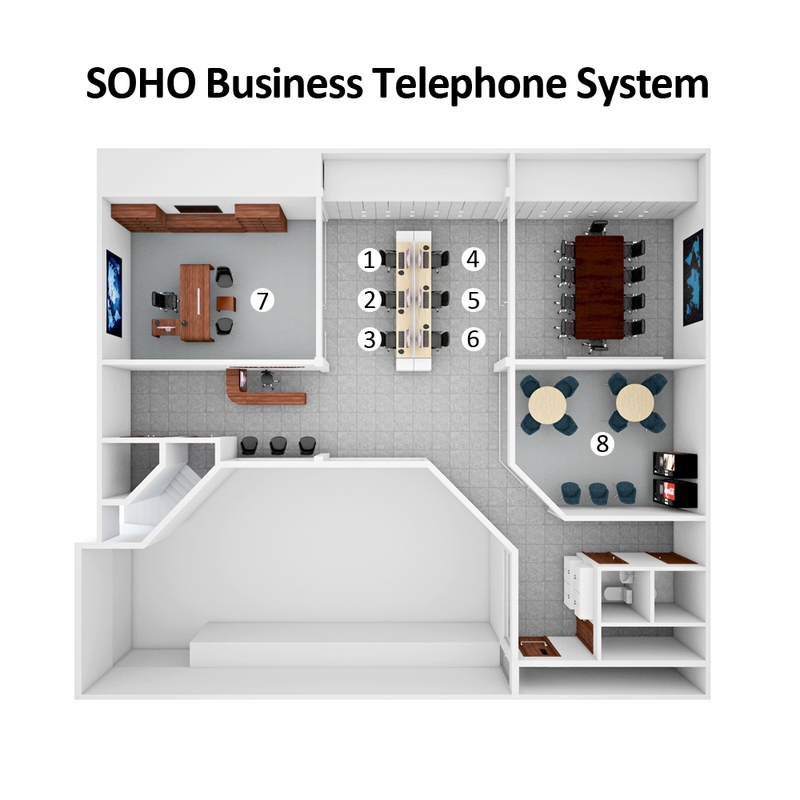 EASY TO INSTALLATION–This PBX comes with detailed user manual with easy-to-understand graph instruction, so even if you has no experience on using PBX, you can install and set up the PBX in short time. 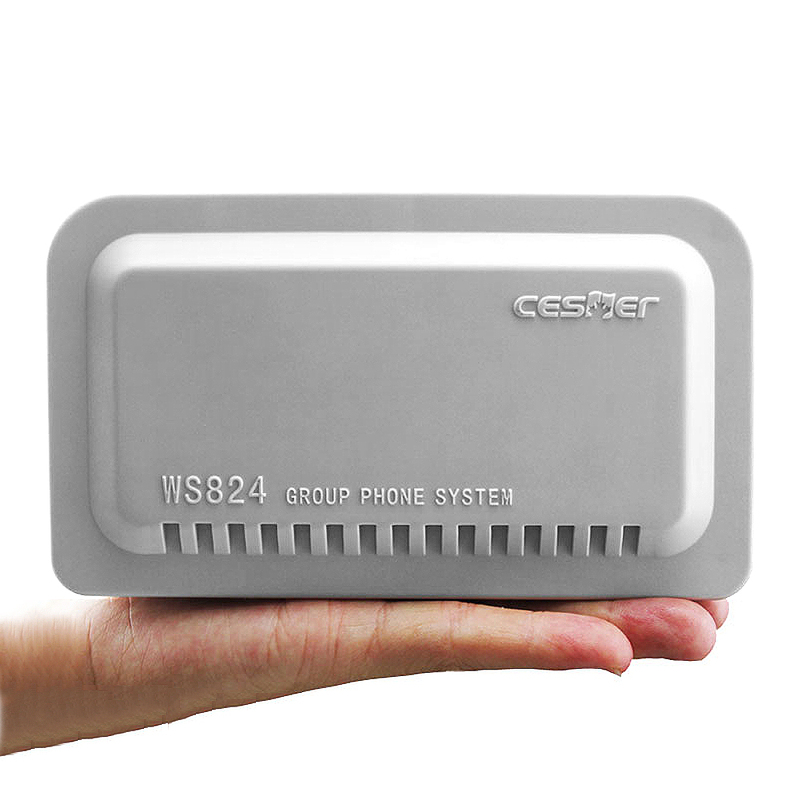 Unlike other phone systems which require expensive and customized phone set . F208 can accept any DTMF phone as extension. You can use your existing home phone or cordless phone as extension which can save lots of your investment. The customizable Automated attendant BV can help incoming caller to connect a specific extension directly or ask for operator for assistance. Incoming call to any extension can be transfered to any other extension easily. F208 Plus support both DTMF and FSK dual-format incoming Caller ID display function. A secretary can make outgoing calls from any extension and then transfer the call to another extension. This PBX also support direct outgoing call without any prefix. If the system is set as direct outgoing call without prefix, inside call(extensions call each other)should add a prefix # before extension number. F208 Plus PBX has an easy to use Robo-Call blocker. When you get annoying soliciting call or Robo-Call, you can easily add the caller into a BlackList during the call. A caller in the BlackList will be automatically blocked if he wants to call your PBX in future. F208 PBX allows incoming call ringing on any selected extension or ringing on all extensions. Check configuration guide in next chapter. (Default incoming call rings on extension 01). 1. If you use an SLT that does not have the ” *” or “#” keys, it is not possible to access features that have ” * ” or “#” in their feature numbers which are required by many functions of F208 PBX. 2. 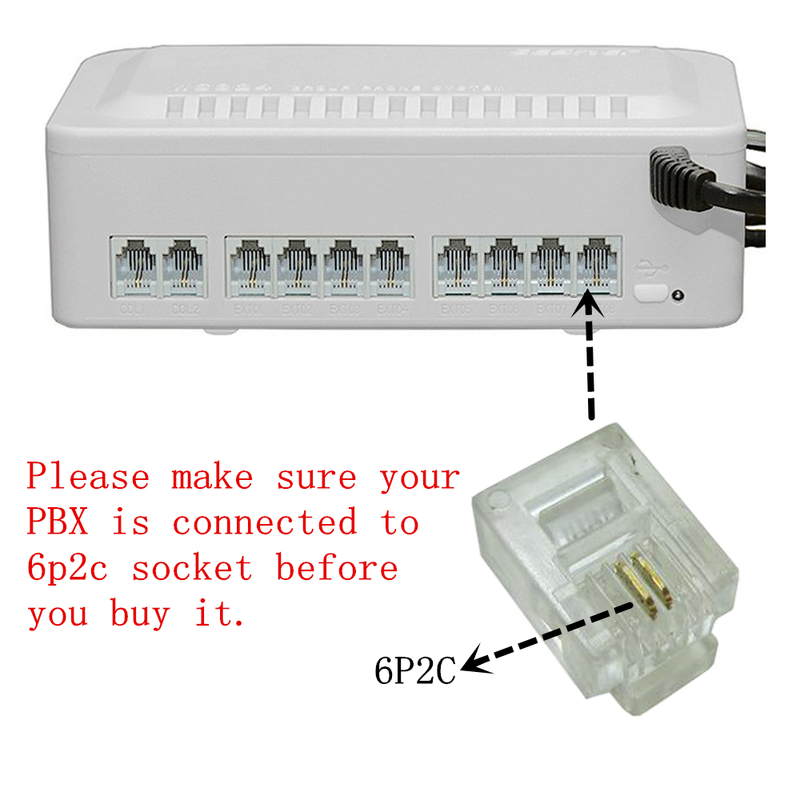 The telephone RJ11 socket need to be 6P2C,please kindly make sure your PBX is connected to 6p2c socket before you buy it. 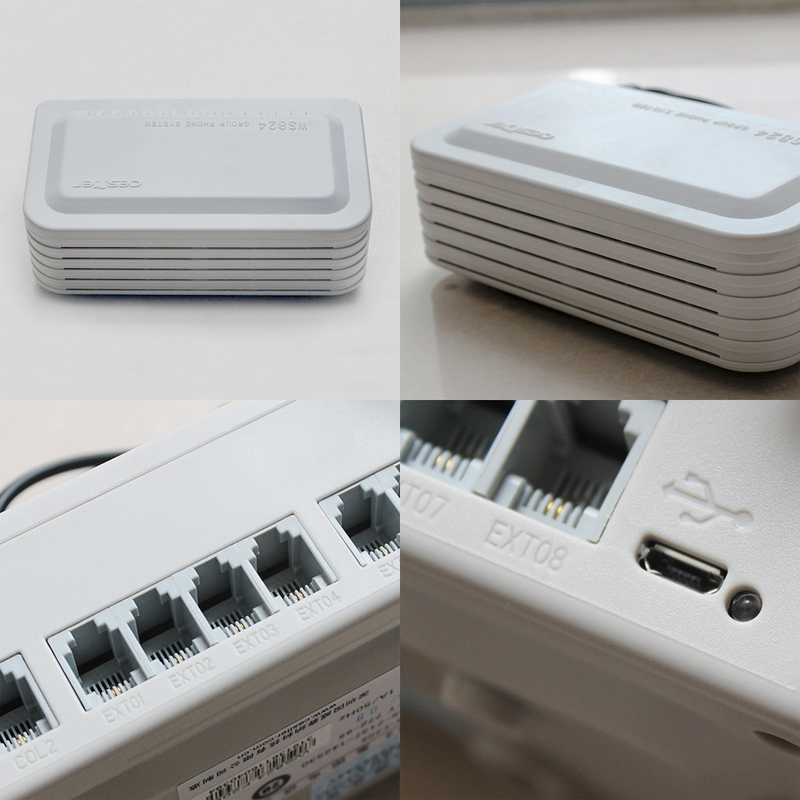 Hi，all the phone PBX sended to USA are 110v. if you are in Unite State, it should not be damaged. You could contact the custome service or amazon service to get another new one. Hi What can I do for you? Hello! I bought this product and I’m installing it right now, but there seems to be a problem: when the automated attendant is on, and you dial an extension number, if no one answers and you hang up, the extension keeps ringing for a VERY long time! Even if the calling party already hung up… also, while it is still ringing, the outside line appears to be busy for new callers. is my PBX broken? to work (electronic ringers work okay).